Mediation offers broader solutions than litigation. As partner, managing and senior partner and latterly as consultant I bring, as a mediator, an unparalleled breadth of experience in not only dispute resolution but also the perspective that arises from the commercial challenges of running a business as CEO. In 2005 I set up BLM's Policy Unit to initiate and respond to government led reforms offering wider pro-active solutions as well as reactive case handling. This broad overview of the problems affecting clients continued with responsibility to manage campaigns on specific policy issues for clients. This included extensive work on the Insurance Act 2015 culminating in the award of Insurance Law Firm of the Year. My career has always involved broad and ongoing client contact that sought solutions that went beyond the immediate issues of the individual legal dispute. I offer this unique combination of skills and experience to assist with the resolution of your disputes. Litigation is on no-one’s “bucket list”; it places demands on business and commerce and on the lives of those involved in it whether as parties or witnesses. My experience as both managing and senior partner of one of the UK’s leading litigation practices and one of the few (perhaps only) solicitors in the UK to be afforded the accolade of “senior statesman” by Chambers and Partners means that I can help. I bring a unique set of skills and experience to the mediation market place. Terry brings a unique blend of deep legal knowledge combined with a very pragmatic approach to helping parties achieve a settlement - all combined with a sense of confident calmness and lightness but certainty of touch that can ease the path through more challenging areas of any dispute. Over a period of years I have seen and worked with Terry where he has identified a complex problem, brought opposing parties together and persuaded them to take an holistic view of the issue ultimately achieving a lasting solution to the mutual benefit of all those involved. I am confident that those skills will benefit those who instruct him as a mediator. 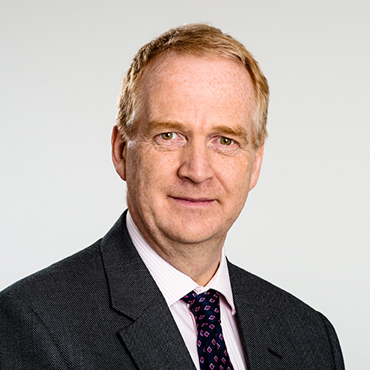 Terry led his firm’s submissions to the Law Commission on insurance law reform and in subsequently explaining and preparing clients for the new law. He brought many of the skills of the mediator to that work, identifying areas where brokers, insurers and policyholders either agreed or disagreed. He at all times provided a clear understanding of the underlying themes and principles of the legislation and enabled clients to find solutions to issues generated by the new Act. Fixed Recoverable Costs: effective now? ...for some organisations the extension could have an impact on business and pricing decisions already made.